Each VIP ticket includes 4 Beverage Vouchers, 60 min early entry, 5 taco vouchers, bottle of hot sauce, tequila shot glass & VIP tent with private bathrooms & bar. 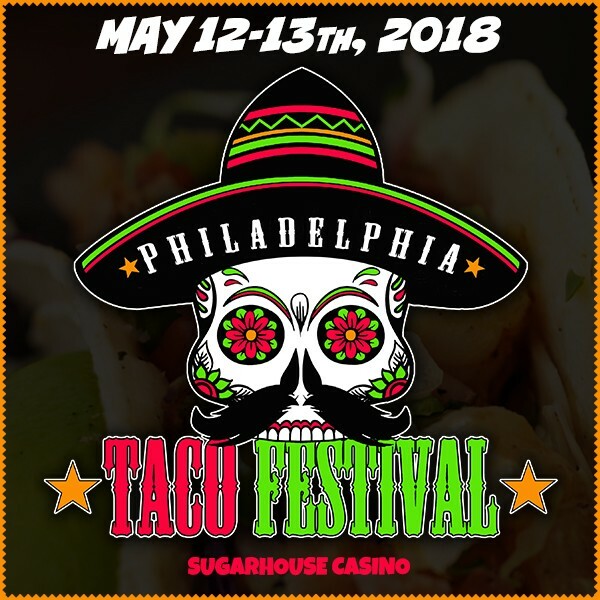 Join us on Saturday, May 12th and Sunday, May 13th for Philadelphia's seconond annual Taco Festival! Check out all the details, info and ticket details below..
Come hungry as there will be over 25 of the areas BEST restaurants & food purveyors showcasing a variety of traditional, unique and delicious tacos! Bring your dancing shoes and expect to hear the sounds of traditional rock, authentic mariachi bands with dance troupe performances, Philly's best DJ's and more! Have a restaurant, food truck or vendor inquiry? Drop us a line at Info@PhillyTacoFest.com, call (888) 827-8340 or visit us at www.PhillyTacoFest.com.